Writing code for sending mail is one of the common tasks that we need to work every now and again. Sometimes it is one of the requirements in our application and some time we develop to send alerts to all when application looses its control on production :). Above code snippet is just to send a simple mail (System.Net). 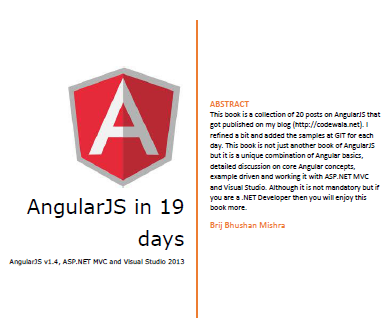 But It also provides rich APIs which can be used to leverage the features like sending attachment, set body as html etc. One of the key points in the code that it uses a smtp server to send the mail. That smtp server must be configured so that it can be used. Normally this kind of configuration we used to have on production or Pre-production environment. But what if we want to send from our local machine or integration server or test our functionality. It becomes very important because most of the time it has been found that look and feel of the body gets changed when it reaches in inbox or it looks way different when we open the email. So we need to see verify mail format then only we can assure about the functionality. Similarly there could be many other things to verify. The Good news is that we have a very simple way which can be used to test the email functionality. We just need to add the following configuration on web.config. Now no matter whatever smtp details we provide in our code (see in the sample code, we just put the normal explanatory text), the mail would be saved in provided folder in configuration. SMTP Client checks the details from configuration if it is available then acts accordingly. if it is available save the file else try to contact the server given and if there is any issue throws an exception. Hope this help you while testing. 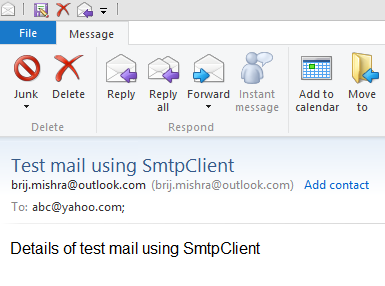 This entry was posted in ASP.NET and tagged AS, mail, SmtpClient, test. Bookmark the permalink.